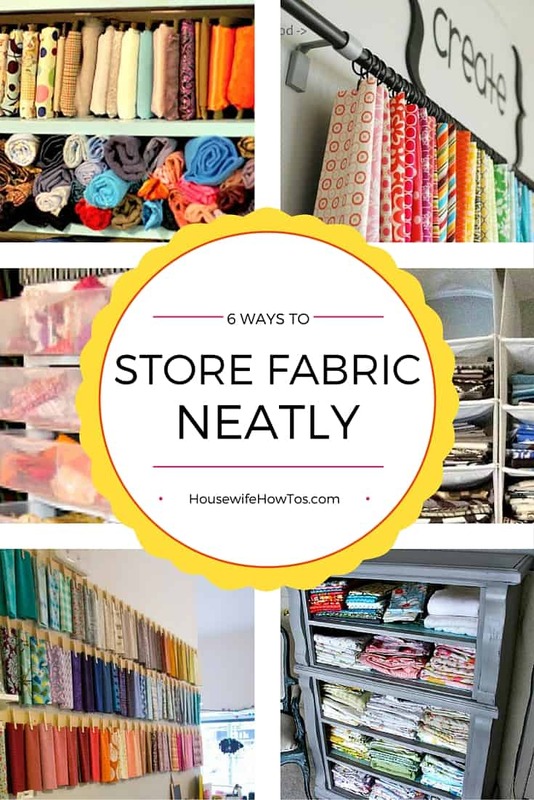 Crafters aren’t the only ones who need to know how to store fabric neatly. Anyone who has had to iron a tablecloth before using it has probably thought there’s got to be a way to store it without causing wrinkles. 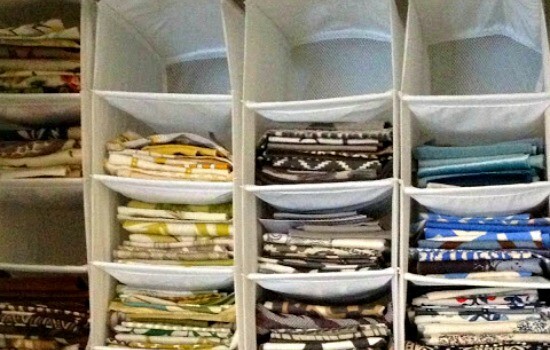 I can’t take credit for the six bright ideas below, but I’m using more than one of them to store fabrics and linens in my home. 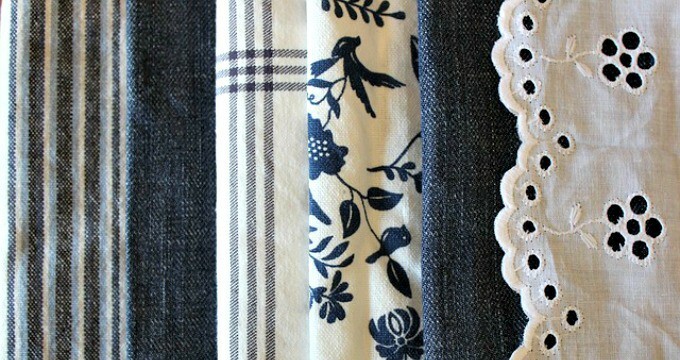 If you’re tired of ironing tablecloths or digging through piles of fabric to find the perfect one for a sewing project, you’ll love the excellent solutions these bloggers have found. 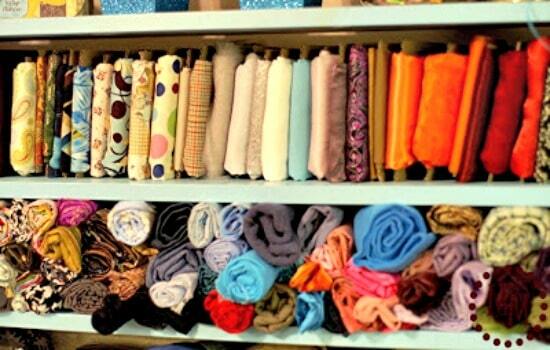 If you only have a couple of tablecloths or yards of fabric, the easiest solution is to lay dye-free tissue paper on them before folding in thirds, then hang them in a closet. 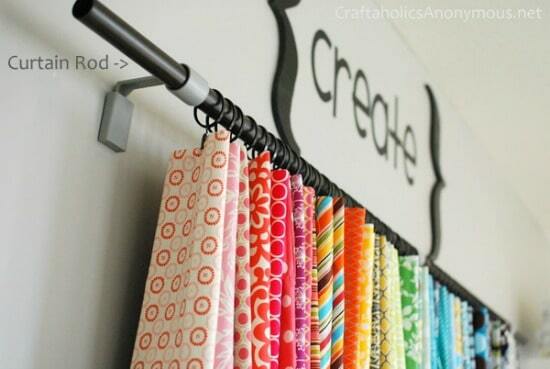 The tissue paper will prevent wrinkles while hanging them ensures you can easily find the cloth you’re looking for. 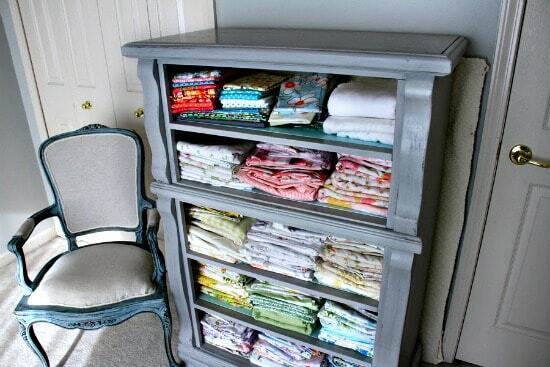 Got a bigger cloth stash? 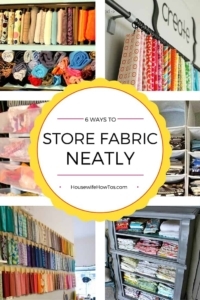 One of these ideas about how to store fabric is sure to help. 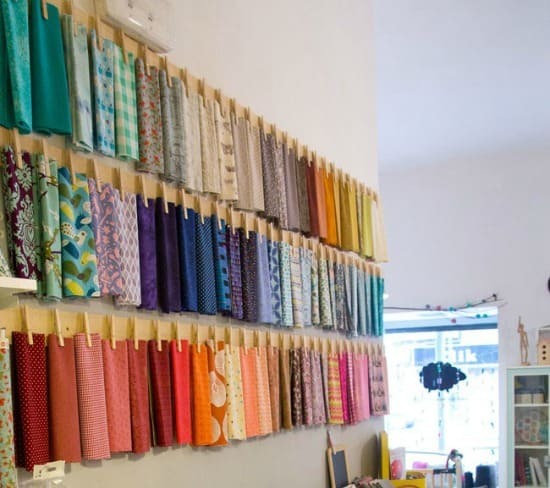 Still feel like your house is a mess even with your fabric stash under control? 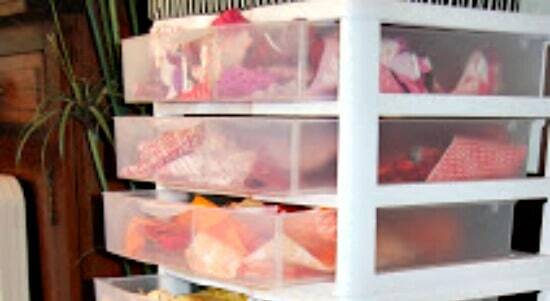 Check out my book, 30 Days to a Clean and Organized House!